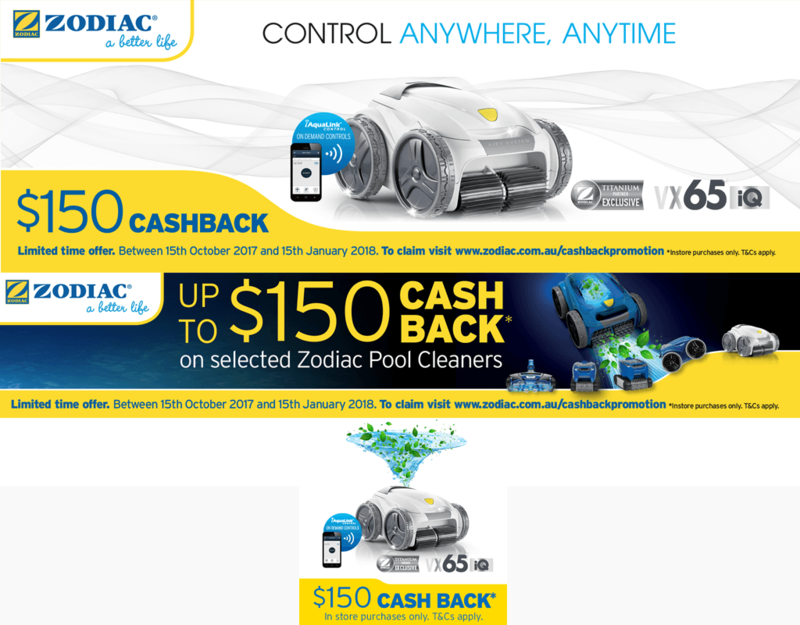 GET UP TO $150 CASH BACK ON SELECTED ZODIAC POOL CLEANERS*. Purchase a selected Zodiac Pool Cleaner in-store from a participating dealer during the promotional period, 15th October 2017 to 15th January 2018 to receive Cash Back! Log onto the claim site: www.zodiac.com.au/cashbackpromotion to make your claim! *Terms and conditions apply. Product must be purchased in-store from a participating dealer. Davey Double Warranty is BACK!